Personality - is your persona really showing off the real you? The personality you show is you. Let the real YOU out to play. Your personality impacts your thought, behavior and motivations in and around life. We need to work on aspects of our life to show our true selves off to the world. We should primarily do this for our own sake, though it does affect the people around us, many of whom we love and respect. Our habits are important to the way we live and use our time. Our traits make us the person we are. Our skills help us to make a living and to enjoy our spare and personal time. Making the most productive use of our time should be a goal that all of us make on a daily basis. Wasting time is fine every now and again but on a regular basis will only put us on a downward spiral (from which it may be difficult to extract ourselves). How we perceive ourselves governs what we think or do a lot of the time. Personal issues may predominate but taking control of these aspects of your life will bring huge benefits in how you feel about yourself, your self esteem, and your experience and enjoyment of life. So, what do we mean by all of this? Let your task be - show the world the real you. So, what will we be looking at? Can you give me a list of traits? What will you say about personality? Can you talk about personal habits? Will you be looking at my personal space? What about life coaching skills? Is there a list of suitable skills? Will this impact on my self image? Will you give some quotes about personality? Or some personal time quotes? What can you find here? What's in it for you? We will be looking at how our persona can impact on our lives. We will provide some answers and some background to the questions raised in the last section. What you show to the world is so important. Just be yourself. Be real and your self esteem will soar and life can be a true adventure for you. Feel free to check out the following pages in your quest in understanding personality and the part it has to play in your life. If we understand ourselves better we can be the person we want to be and have the personality we want to have. Personality quotes - be lifted by a variety of quotations and insights. Let them help you make a difference in your life and how you express yourself. Personal habits help us to achieve more in life. They become part of us. We rely on them. Help ensure that you get the most out of your habits. Personal Space is the invisible boundary past which we select who enters. Learn more about your own personal space. 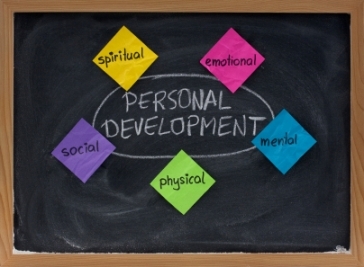 Personal skills are your abilities and aptitudes, your strengths and capabilities. Let them grow and develop. Contribute to life and see where life will take you. Personal quotes - be lifted by a variety of quotations and insights. Let them help you get on in your life and make a real difference. Personal time quotes - be lifted by a variety of quotations and insights. Let them help you make the most of your time. To find out more about my free monthly newsletter called 'Balance in Life' please click on the 'Balance in Life' newsletter page link. 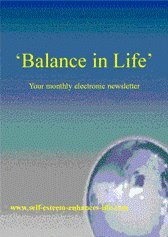 'Balance in Life' is emailed direct to the Inbox of those who subscribe and includes exclusive new material in each issue. I hope I'll be able to send you a copy soon. It's QUICK and EASY, sign up Here - you have nothing to lose! "Always be yourself, express yourself, have faith in yourself, do not go out and look for a successful personality and duplicate it. " "I want freedom for the full expression of my personality. " "When you choose your friends, don't be short-changed by choosing personality over character. " "If you always imitate others you will kill your own personality. " "Positive feelings come from being honest about yourself and accepting your personality, and physical characteristics, warts and all; and, from belonging to a family that accepts you without question. "